Calling the EU’s new border control AI a “lie detector” is like calling Brexit a minor disagreement among friends. According to the report (and the project’s website) the EU is testing a pilot program involving AI that uses an avatar to ask people questions. Supposedly this AI-powered construct knows if a person is being truthful when they answer, and it flags those it determines aren’t. Once someone is labeled a liar, human agents are summoned to investigate further. Depending on your views on privacy and immigration, this is either music to your ears or the beginning of a dystopian future straight out of an Orwellian nightmare. You’re wrong either way. 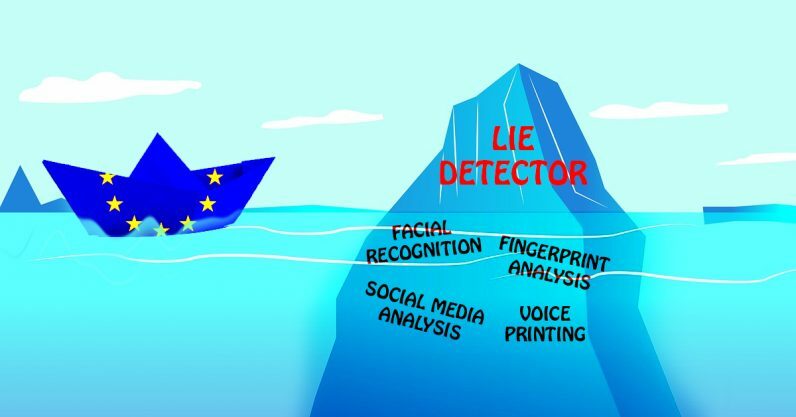 For example, if you’re thinking “we could just have it ask everyone “are you a terrorist?” and make the EU safer for everyone” then you’re probably assuming there’s such a thing as an AI lie detector. There isn’t. Don’t worry, that’s a common mistake. Like all lie detectors, AI-based solutions rely on hit-or-miss guesses with whatever the government considers a tolerable level error. A polygraph, for example, is alleged to have between a 75 and 90 percent accuracy rating. It doesn’t detect lies, it detects the subtle cues associated with lying. Just like this, AI doesn’t detect lies either. It detects biometric indicators associated with lying — at around 76 percent success, allegedly. But, on the other hand, if you’re thinking that this is the most egregious violation of human rights in an airport since the days when TSA agents in the US were instructed to profile Muslims, you’re wrong too. Mostly, anyway: it goes far beyond just hassling foreigners at airports. *ADDS is based on previous developments, so-called Silent Talker . The project has adopted this technology and is well aware about the controversy around it. This tool has undergone the following steps: A scientific foundation is achieved when a research starts from a position of ignorance and follows the scientific method to dispel that ignorance. As scientists of AI, one particular research question is “Are there non-verbal behavioural indicators of deception” and the experiments carried out collect data to support or refute the relevant hypotheses. The rest of the explanation for ADDS is full of the old “non-verbal cues” argument. It’s academically interesting, but certainly not the insane breakthrough we’d need for AI to become a bonafide lie detector. As such, shame on any government for considering it at this point. In reality, the rest of the iBorderCtrl suite is what’s scary. ADDS is much like the “personality profile” that Cambridge Analytica used to convince people to give up their data. After all, why wouldn’t you agree to take a lie detector if you have nothing to hide? The answer is that you have plenty to hide, whether you’re lying or not. Let’s grab the last one for examination real quick. Searches for hidden humans? At an airport? Unlikely. This, according to the project’s literature, does look for people hiding. But it’s painfully obvious this is designed for border crossings where mobile agents are tracking or searching for people in outside surroundings, not airports. Still, it’s part of the airport “lie detector” you’re hearing so much about. Simply put: iBorderCtrl is a comprehensive data collection and surveillance package that appears to be more robust than the one Trump’s put in use at the US/Mexico border. The amount of information the EU could glean from this – everything ranging from a person’s sexual identity to religious and political beliefs – would allow it target individuals by affiliation with laser precision. But that’s only a problem if you don’t believe in biased data, corrupt government, or pie-in-the-sky AI promises. iBorderCtrl didn’t immediately return TNW’s request for comment.